Access Profiles, Inc.: One Size Does Not Fit All ~ Why You Need to Fit the Background Check to the Job! 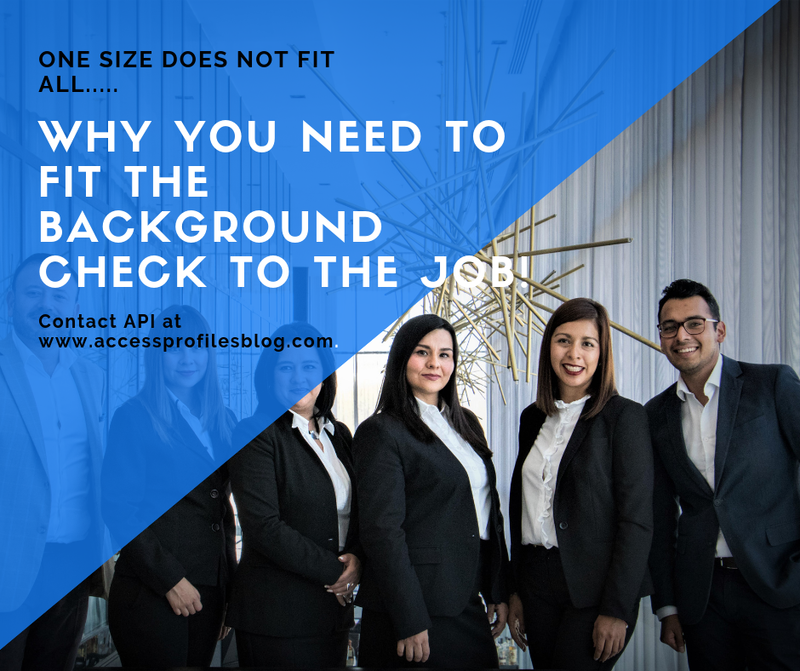 One Size Does Not Fit All ~ Why You Need to Fit the Background Check to the Job! When it comes to Background Checks, clients often ask “what exactly do I need to screen for”? It depends on what position you are looking to fill and what your job description requires. One Size Does Not Fit All When it Comes to Employment Background Checks! "Tweet This"
It is wise, and cost effective, to fit the Background Check to your open position. This means covering only what is necessary in your screening process. Doing this requires pre-planning. 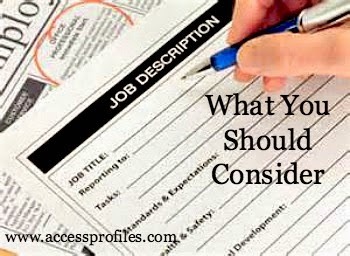 Therefore, before you need to hire, it is best to get your job descriptions in place. Make sure you outline in advance details for each position in your company. You should determine the education/training and prior experience required. You will also need to describe the job’s responsibilities and duties. Most employment screenings require some type of criminal background check. Therefore, you need to decide if a criminal or civil record would prohibit your candidate from performing the job requirements safely. This is where you need to be especially specific. It is crucial you determine exactly what types of crimes would be of concern ~ assault, drugs, theft, etc. The key is to make sure the crimes that would prohibit hire are ones that would keep the applicant from performing the duties listed in your job description. For example, if your job requires driving a company vehicle, a record of drunk driving would be of concern. Or, it would be reasonable that jobs where your employee has access to customer’s homes would require a more stringent criminal check. You may also want to check for any civil court records if a position requires access to company funds. In that case, financial crimes like embezzlement may prohibit hiring. Level of Position ~ It makes sense to elevate your screening as the position advances. While entry level positions may only require criminal checks, you may add education, references, and more as determined to be wise for higher company jobs. 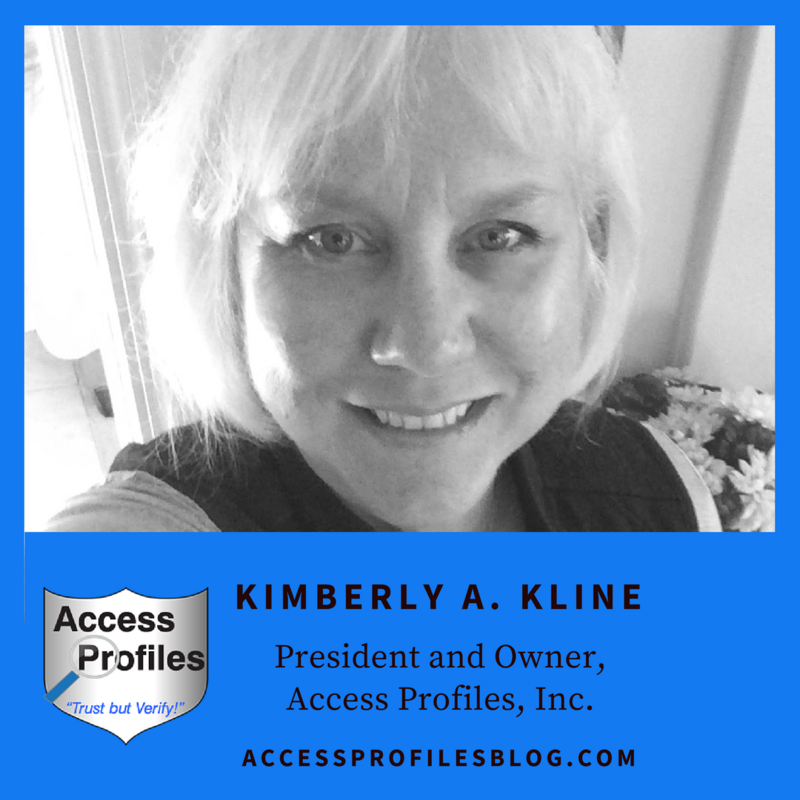 Access to Company Assets ~ Does the position require handling money or product? If so, criminal and civil record checks would be a must ~ looking for a crime like theft would be of interest. Access to Sensitive Customer and/or Company Data ~ Making sure your applicant has never been convicted of a crime related to mis-using company data is key. Contact with Clients, Customers, and Employees ~ Will they be the “face” of your company? Actually go into client’s homes or businesses? Work closely with other employees? Knowing whether your applicant has a history of physical or emotional violence and abuse is necessary to a safe hire. Being as specific as possible with this list will help you determine what you need to screen during your employment background check. It is important to be consistent across similar positions in your company. 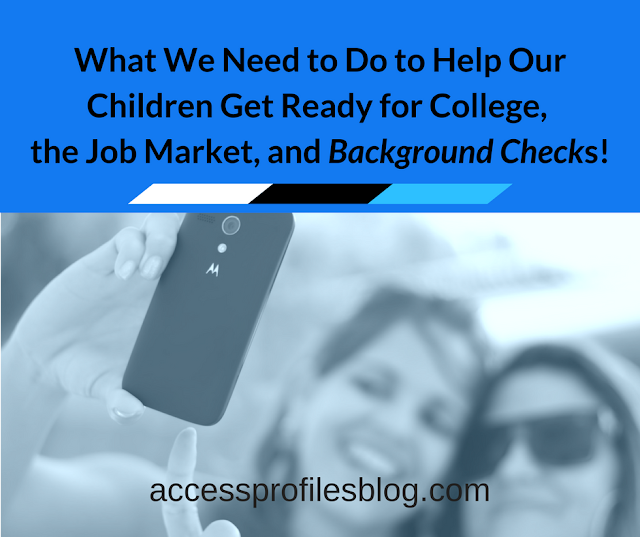 This helps you avoid charges of discrimination in how you use background checks. The EEOC also weighs in on this issue, especially in the area of criminal background checks. 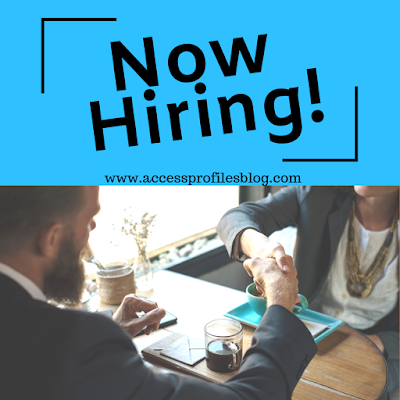 According to the EEOC’s Compliance Manual on Race and Color Discrimination , employers must “be able to justify (the decision not to hire due to information obtained in a background check) as job-related and consistent with business necessity”. The time that has passed since the conviction and/or completion of the sentence. High on the EEOC’s radar is the “blanket exclusion” of anyone convicted of a crime from being hired. Remember, your decision needs to be “job related and consistent with business necessity”. When faced with a background check containing a criminal record, you need to evaluate whether that crime poses a risk based on the job description. That is where carefully crafting those descriptions in advance pays off (and working with a great background check company can help!). As you can see, a “one size fits all” approach to background checks is unwise, and may put you on the EEOC’s watch list. Instead, being proactive and carefully writing thorough job descriptions will help you save money by screening for only what is necessary ~ and keep you compliant. That is definitely a Winning Combination! API is here to help! Contact Us and we will guide you in your quest to hire the best employee for your company. Find out more by visiting our About Us and Background Check Investigation Services pages.